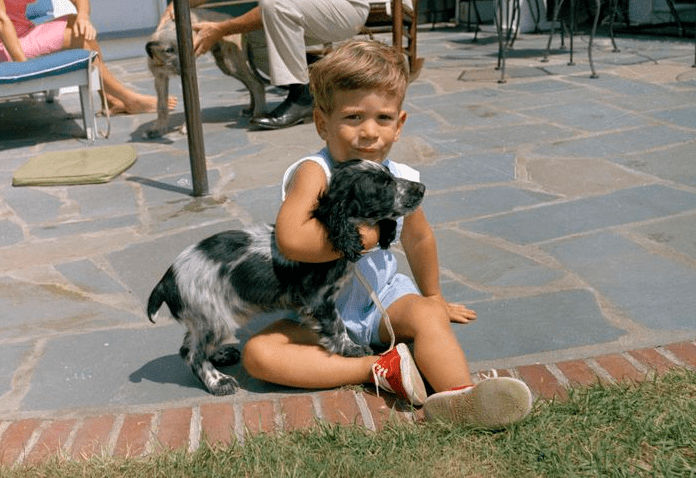 Little John F. Kennedy Jr., almost 3 years old, plays with puppy Shannon on Aug. 14, 1963. President John F. Kennedy and his young family had quite a few animals at the White House during his presidency. One of them was a black-and-white cocker spaniel named Shannon, a gift to the First Family from Ireland’s President Éamon de Valera. The dog wore a gold shamrock–decorated collar. Out of the many dogs at the White House when Kennedy was president, “I believe Shannon was his favorite,” recalled Traphes L. Bryant, who was “unofficial family dog wrangler” at the time. Shannon was the only dog that Kennedy’s wife, Jacqueline, kept after the president died. 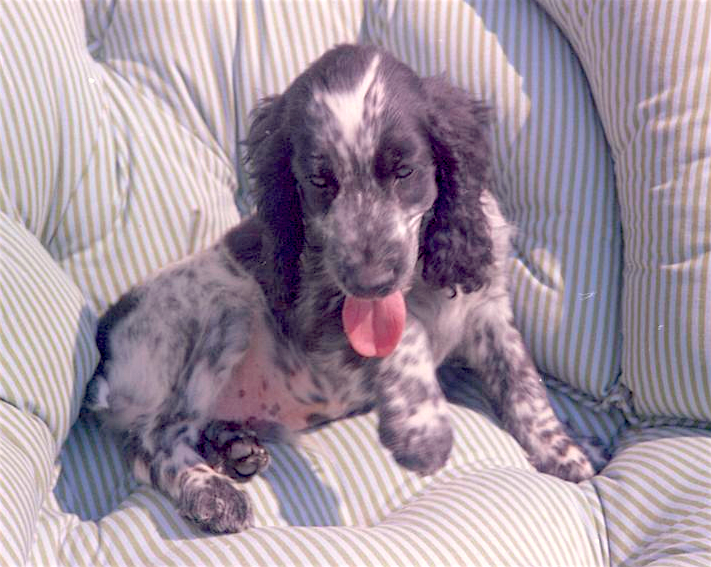 Shannon as a 3-month-old puppy, Aug. 13, 1963. According to an article written by the American Kennel Club’s A. Hamilton Rowan Jr. and published in the November 1999 AKC Gazette, the former First Lady sought to obtain Shannon’s papers in 1970. “One late afternoon in May 1970, the elevator door at the AKC’s 51 Madison Avenue office clanged open and out walked an impeccably attired lady, followed by an obviously subdued 10-year-old boy,” Rowan wrote. It was Jacqueline Kennedy Onassis and her son, John F. Kennedy Jr. Apparently Mrs. Onassis wanted to have the 7-year-old dog sire a litter, and she wanted to make sure the puppies would be eligible for AKC registration. John F. Kennedy with son and Shannon. Rowan used his connections in Dublin to oblige, and called the former First Lady’s secretary. “Knowing Mrs. Onassis’s disdain for publicity, and because John was still under Secret Service protection, I suggested she arrive at 5:30 p.m., when only the few AKC night-shift people would be working,” Rowan related. “I alerted building security about our distinguished guests. Thus, it was by pre-arrangement that security met them at the Madison Avenue entrance and escorted them to an empty, waiting elevator. Virtually no one else was aware of our visitors. He also gave mother and son a a tour of the executive offices and asked them to sign a visitor’s log. 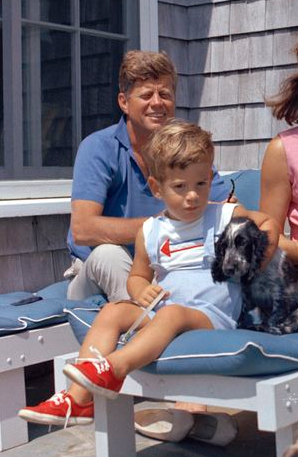 If Clipper was the only dog to be kept after President Kennedy died; where did the dogs go?